That one’s kind of blurry, so here’s a better look. On closer inspection (and with our engagement ring knowledge behind us, LOL), it looks like a cushion-cut diamond set on a sleek platinum band. Just look at how it glistens! 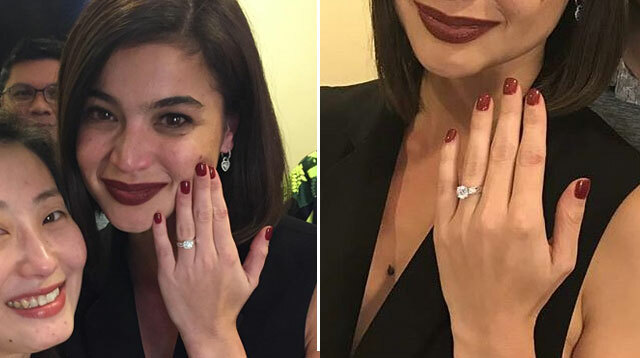 We’ll have to wait for more detailed photos or an actual confirmation from Anne, but one thing’s for sure—she’s one super lucky lady.